Teas have become increasingly adventurous, flavorsome, and as far from boring as you can get of late. Healthy teas and tea infusions are making a glorious dent in the world of wellbeing, with many of them now in bleach-free bags that add to their attractiveness not just for our health but the environment also. The big selling point for teas is that there is just so much choice, and many of these infusions can really help to harmonize our body from the inside out as we take small steps away from the go-go-go of coffee and caffeine to keep us moving. If we look back through the centuries, many ancient ceremonies and rituals involved tea and added health-inspiring herbs to really get the most benefit from mother earth. So maybe we need to set our cup of coffee down now and then and explore the world of healthy teas! All teas come from the Camellia Sinensis plant. It is the way in which the tea is processed, fermented or oxidized that creates the differences between white, green, black, and oolong teas. All teas hold varying levels of anti-oxidants, anti-inflammatory, and antiviral properties due to catechins- a natural phenol compound present in tea. 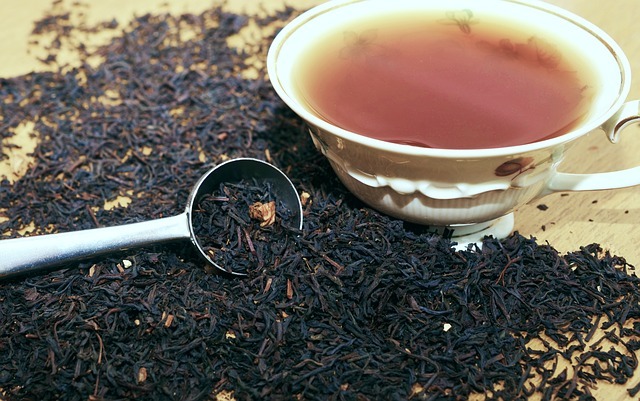 Black teas tend to have higher caffeine content than other tea types. This is the normal cup of tea many of us would have grown up with and dunked our biscuits into; other black teas include earl grey and breakfast teas. The oxidization process means the tea leaves are withered or dried-out, yet black teas are still super-high in antioxidants due to their catechin content. White tea is considered the “virgin” tea using the youngest leaves of the tea plant, and contains higher levels of anti-oxidants due to its minimal amount of processing; it is milder in taste and low on caffeine too. Green teas are fast on the rise in the health world and potentially the healthiest in terms of its wellness benefits such as boosting metabolism, decreasing inflammation, sharpening mental focus and improving skin. Oolong tea is partially fermented whereas green tea is unfermented, similarly to green teas it can aid in mental alertness also. There is so much more to delve into with tea, exploration really is vital so that you find what suits not only your taste buds but your health goals! Since its launch back in 2009, Buddha Teas has been single-minded in pursuing its goal: to produce high-quality natural teas that promote a healthier positive lifestyle. British-born John Boyd first conceived of starting a tea company in response to the limited options for tea in the U.S. compared to other countries. Disappointed with the lack of quality and variety, he set out to expand the market with his own selection. John also learned how many other companies relied on added flavorings and tea leaves coated in pesticides and other chemicals. He wanted his company to go in a more natural direction, one that was healthier for his customers and the environment. John chose the name “Buddha Teas” to reflect a philosophy. Living in harmony with the world is one of the key aspects of Buddhism, a concept that fits perfectly with his goals and direction for the company. With organic products, natural processes and eco-friendly packaging, Buddha Teas aims to honor the world that provides these amazing teas, and hopefully, have a positive impact on our environment and their customers. Today, Buddha Teas upholds that standard with a solid selection of over 120 organic teas, including a broad range of Chinese and Japanese green teas, an assortment of black teas, and the more exotic white tea, oolong, and Pu-erh. On the flavorful side, you’ll also find our four fruit teas: elegant pairings of tea leaves and real fruit pieces for a strong natural flavor. Most of our selection, however, focuses on organic and wildcraft herbs. Buddha Teas is a strong believer in the positive benefits that herbs can offer. Their selection of single-ingredient herbal teas allows their customers to find the tea that best suits their needs, their physiology, and lifestyle, giving them the best experience possible. They also offer Premium Blends, each one carefully crafted from their most potent herbs to support a particular system or provide a specific benefit. And while they may not be a spiritual company, they do believe in meeting customers wherever their needs are. Buddha Teas created a line of Chakra Teas with herbs attuned to each specific chakra, each enhanced with crystal essences for greater potency. Each tea features its own unique, refreshing flavors, and makes a great accompaniment to a soothing meditation or yoga session. 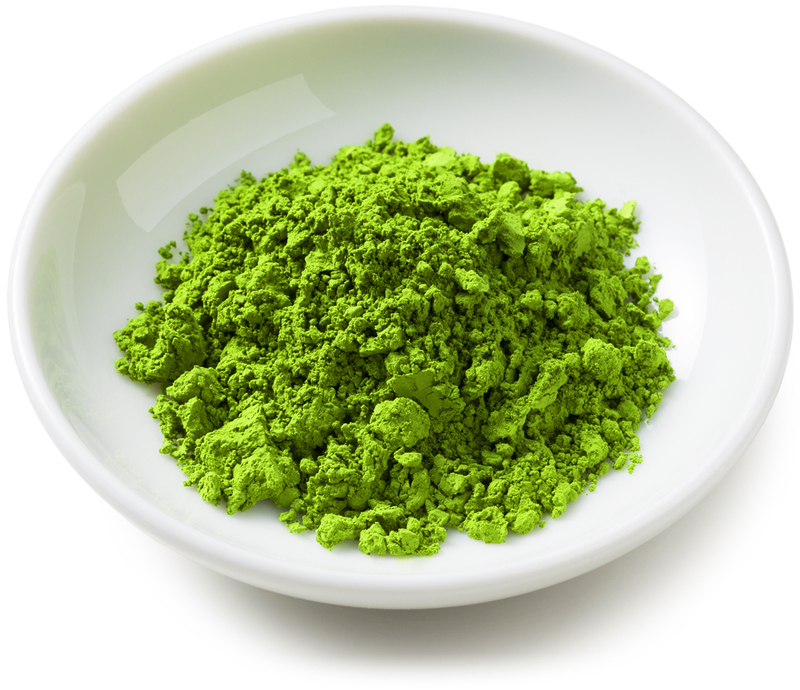 "Gymnema tea may be an unfamiliar one to many people around the world, as it has only made its introduction to the western world in recent years"
This year, Buddha Teas also takes a new step toward bringing the tea tradition into the modern world with our new ready-to-drink matcha product, Matcha NOW™. This drink provides matcha lovers with the chance to enjoy fresh ceremonial grade matcha tea wherever and whenever they want it. Unlike pre-mixed matcha drinks, which have a short shelf life, Matcha NOW™ stores the matcha powder safely in the cap, keeping it fresh and flavorful until you’re ready to drink it. Nearly every tea Buddha Teas sells is crafted with certified organic ingredients; the few ingredients not available organically are Wildcraft, harvested directly from the wild. Every tea is GMO-free, and they never include any kind of additives, preservatives or flavoring. They use the freshest herbs possible and prepare them with minimal processing in small batches to keep the teas from sitting on the shelf for too long. Their commitment to all-natural doesn’t just end with our ingredients. Each tea bag is made with bleach-free paper, heat-sealed to avoid the use of staples or glue. This step is vital for making healthy teas, as bleached tea bags contain chemicals that break down in heat and can be carcinogenic. Of course, Buddha Teas strive to be as eco-friendly as possible in their packaging. Every box is 100% cycled and recyclable, printed with water- and soy-based inks, which have a lower environmental impact and are also recyclable and biodegradable. “We’ve partnered with “Trees for US”, an organization that works with the National Forest Foundation, to plant 5000 new trees each year in deforested areas. We believe that every tree helps us to offset our use of paper and other natural resources, and we will continue to work to honor the earth. We wouldn’t be able to enjoy any of these amazing teas without the gifts of the earth!” said Buddha Teas.